Inspired by the elegance and glamour of the 1920s era, this vintage purple feather invitation features soft lilac ostrich feathers in the background. 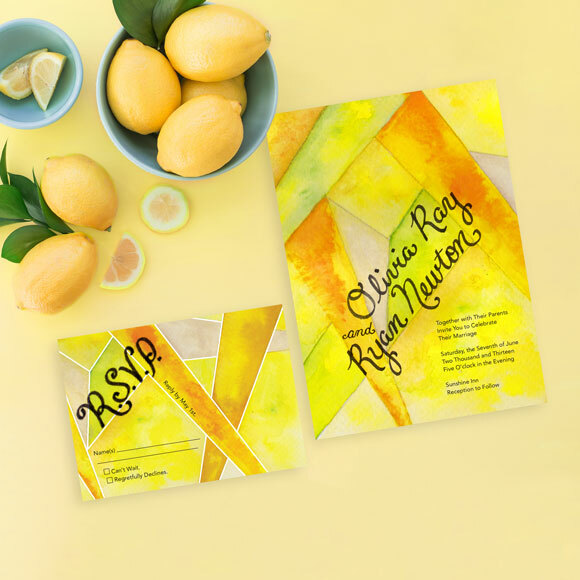 The typography in this invitation set is inspired by the Art Deco era. 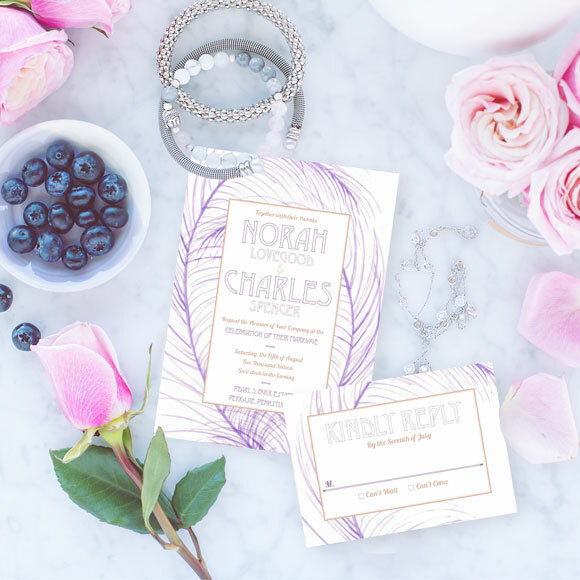 This invitation design features the Ultra Violet, Pantone color of the year 2018. 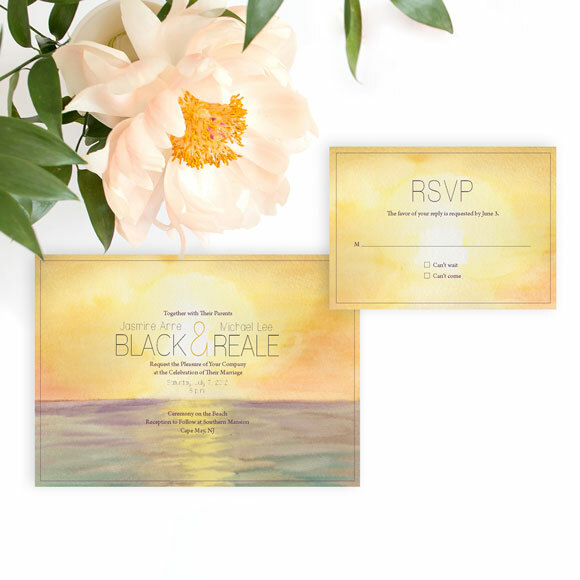 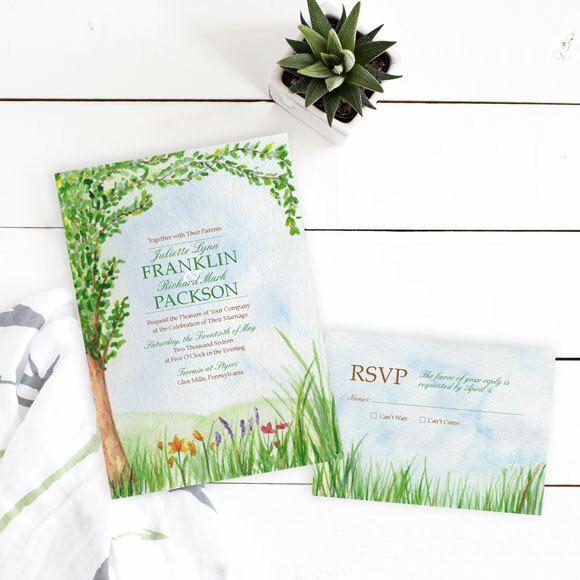 I’m excited to offer this glamorous watercolor wedding invitation in the Hand-Painted Weddings shop. 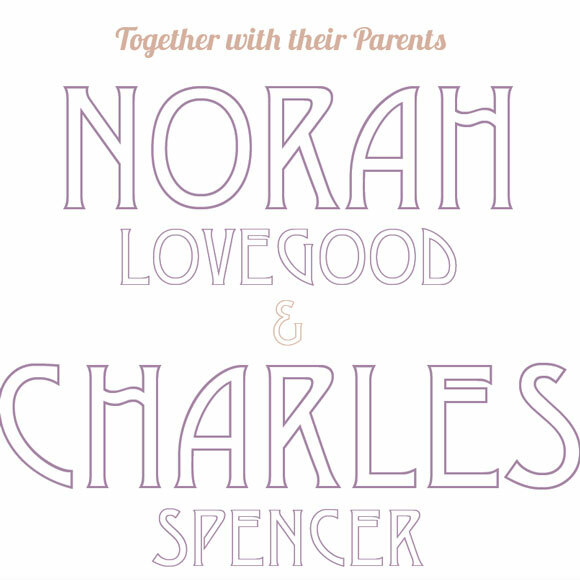 I think the Great Gatsby wedding trend is timeless, and maybe not as popular as it was when the Leo film was launched, but I think that is a good thing (because you’ll be more unique if you go with this theme for your wedding). 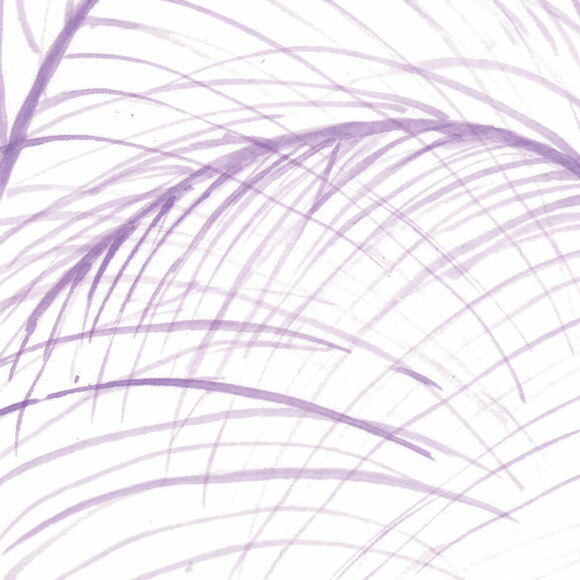 Ostrich feathers are dreamy and dramatic. 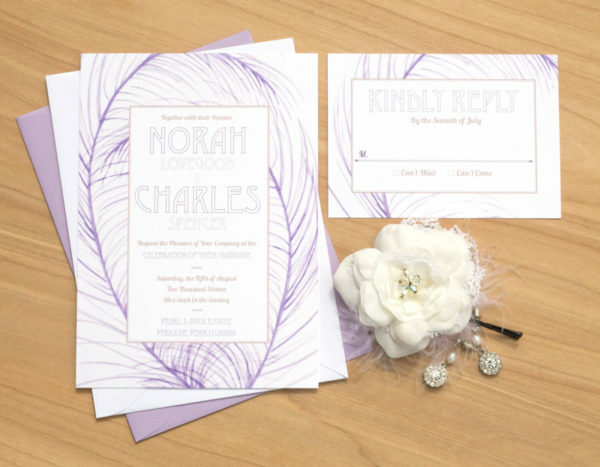 Purple is also still such a popular wedding color, and I love how the feathers are portrayed in the watercolor with their graceful brush strokes.